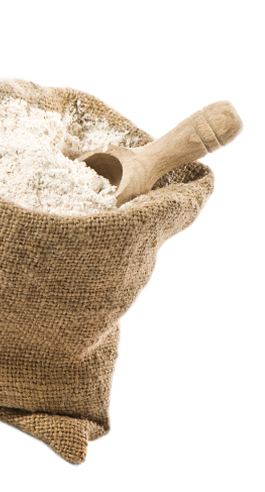 White wheat flour, water, olive oil (2%), yeast, iodised salt, bread premix (wheat gluten, soy flour), emulsifier: mono- and diacetyl tartaric acid esters of mono- and diglycerides, enzymes, antioxidant: ascorbic acid, flour treatment agent, L-cysteine. 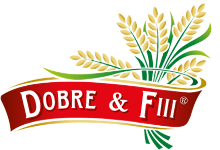 Contains vital wheat gluten. Does not contain GMO. Remove pizza bases from packaging, place on baking tray along with desired ingredients and bake in preheated oven at 220°C for 6-10 minutes. This product is not suitable for microwave use. This product may be heated in a microwave for a maximum of 15 seconds. Packaging: Cases containing 2 or 3 bases in a controlled atmosphere. Store in a cool, dry place away from direct sunlight. Product can be refrigerated or frozen in its original unopened packaging, thus extending the minimum validity period by 60 or 30 days respectively from the date stated on the packaging. 21 days in original packaging. Once the packaging has been unsealed, the product may be stored at 2-8°C for 5 days.